When you go on vacation, you hope to accomplish a few goals like have fun, experience new things, try new foods or even get plenty of rest and relaxation. 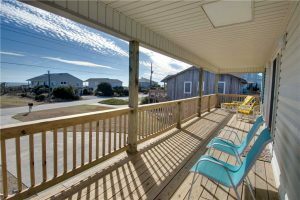 Well Rest Ashored, a second-row cottage, has four bedrooms and 2 bathrooms with plenty of space to help you relax and get plenty of rest while you’re visiting Emerald Isle. Rest Ashored features a newly renovated kitchen that welcomes you as you walk inside. 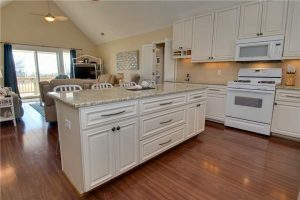 The kitchen features granite countertops, a gas stove and hardwood flooring. 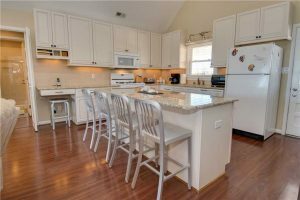 A large island also seats four at the breakfast, lunch and dinner bar. The living room has comfortable seating for seven with a large sofa, three recliners, and a wicker chair. A vaulted ceiling makes the room feel large and a sliding door allows plenty of natural light inside. 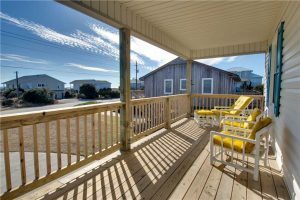 Outside, there are two large covered porches with furniture facing the beach and sound. By mid-March, a large private swimming pool and decking will finish construction just in time for your family and the spring season. There are also two carports available as well as a two, enclosed hot and cold showers. The beautifully fenced-in backyard has a park style charcoal grill and hammock. 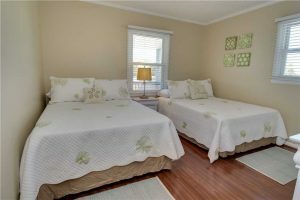 Stay connected with wireless high-speed Internet and leave the linens to the pros with Classic Carolina Club linen service taking care of your bedsheet and bath towel needs. Rest Ashored’s four bedrooms have two queen size beds, two full-size beds and a bunk bed with two full-size beds. 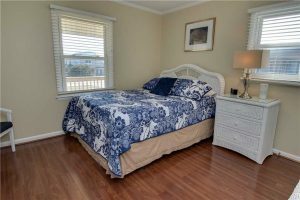 With hardwood floors throughout, each room provides the cozy comforts of home along with the added bonus of a coastal atmosphere! 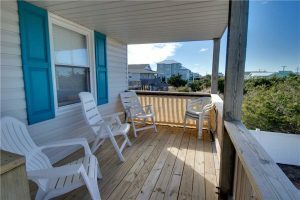 The master bedroom has windows that look out the beach facing balcony and an adjoining bathroom is not far from it. Another bedroom has a queen size bed as well. 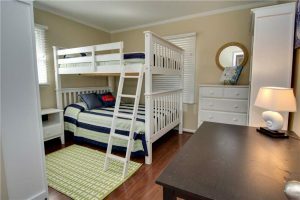 Two double beds make up the third bedroom while a bunk bed with two full-size beds make up the fourth bedroom. Each of the bedrooms, including the living room, have their own SmartTV with streaming capabilities to services like Netflix and Hulu. 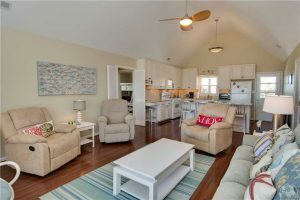 This cottage is located off of Emerald Drive and is in close proximity to shopping and local restaurants. When you’re not hanging around the cottage or checking out the beach, there are plenty of popular destinations close to Rest Ashored that shouldn’t be missed while you’re here! 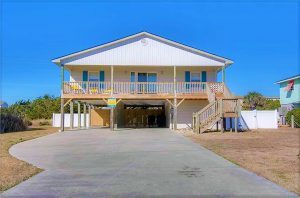 Visiting Emerald Isle to check out the fishing scene? Try your fishing hand at the popular Bogue Inlet Fishing Pier! For the history and knowledge buffs on your trip, put a stop at Fort Macon State Park & the North Carolina Maritime Museum on your list for a look into the history of Emerald Isle and the Crystal Coast. A visit to the North Carolina Aquarium at Pine Knoll Shores is another a great attraction to visit that the whole family will enjoy! 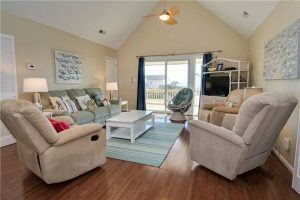 If you’re looking to rest and relax or looking see what Emerald Isle has to offer, check out Rest Ashored for your next vacation!  Click here to see Rest Ashored’s availability and here to see more pictures of the second-row cottage.